Russia’s military has completed work on a new missile defense radar in southern Russia that has some U.S. military officials worried Moscow is building up offensive and defensive strategic forces in destabilizing combination. The large radar station near Armavir, located near the Black Sea and designed to detect missiles launched from Europe and Iran, is nearly complete, said U.S. officials. The radar deployment comes as Russia is seeking legal restrictions on U.S. and NATO missile defenses in Europe that are designed to protect the continent and the United States from long-range Iranian missiles. "The [radar] station is in the final stage of preparations for entering combat duty," Russian Aerospace Defense Forces commander Col. Gen. Oleg Ostapenko told RIA Novosti news agency June 19. "We are planning to almost wrap up the work on the station approximately by the end of the year." A U.S. military official said the Armavir radar station, along with a major buildup of missile defenses and new short- and medium-range missiles, poses a strategic threat to the United States and NATO allies. "The Russians are upset with U.S. missile defenses in Europe and here they are building a network of missile tracking facilities," the official said. Disclosure of the new radar also comes as President Barack Obama is seeking further cuts in U.S. strategic offensive arsenals with Russia following his announcement last month in Berlin that he would cut nuclear warhead stockpiles by one-third, to around 1,000 warheads. Obama said last year during an open-microphone exchange with then-Russian President Dmitri Medvedev that he would have "more flexibility" in talks on missile defenses with Russia after his reelection. A U.S. official involved in strategic nuclear issues said the Obama administration wants to resolve all missile defense issues with the Russians, including legal restrictions, in order to begin a new round of strategic offensive arms talks. When Defense Secretary Chuck Hagel announced in March the United States was canceling the fourth phase of its missile defenses in Europe to assuage Moscow’s fears, the Russian government did not back down. The fourth and last phase of the program would have included interceptors that could stop missiles from hitting U.S. territory. The three earlier phases are targeted on missiles aimed solely at Europe. The Russian Foreign Ministry issued a statement shortly after the March announcement criticizing the Pentagon for continuing "to maintain a course toward strengthening its system of global missile defense and raising its effectiveness." The statement said the Russians were continuing to demand "legally binding guarantees" that U.S. defense were targeted at Russian missiles. By contrast, the Obama administration has made no mention of Russia’s missile defense and strategic nuclear arms buildup. It also has not sought limits on Russian missile defenses in talks with Russian officials. Russian President Vladimir Putin suggested in a speech June 19 that Moscow’s current offensive and defensive strategic buildup is aimed at countering similar U.S. developments. "There has been increasing talk among military analysts about the theoretical possibility of a first, disarming, disabling strike, even against nuclear powers," Putin said. "This is something that we also need to take into account in our plans for developing the armed forces." Russian Deputy Foreign Minister Sergei Ryabkov was quoted in March in the Russian media as saying "we are not experiencing any euphoria" over the cancelation of the fourth phase. Ryabkov also voiced opposition to the announced plans by the Pentagon to add 14 new long-range interceptors to bases in Alaska and California, which he called a substantial growth in U.S. missile defenses. In a related strategic missile development, U.S. officials said Russia’s military restricted publication of photographs of the controversial Yars-M missile. The Yars missile, also called the RS-24, was tested last month as an intermediate-range missile that U.S. intelligence officials believe violated Moscow’s commitment to the 1987 Intermediate-range Nuclear Forces (INF) treaty. According to the officials, one site of the Yars was not allowed to be photographed by Russian news photographers. However, one photo of the new missile’s prohibited view was published last year. U.S. officials and private missile specialists said the excessive secrecy surrounding the Yars has contributed to concerns that the missile violates the INF treaty. Russia has said the Yars does not violate INF because Russian officials claim its range is 3,400 miles—above the range for a missile to be considered intermediate-range. However, during a flight test of the Yars on June 6 the missile traveled from a launch center at Kapustin Yar and landed at an impact range at Sary-Shagan, about 2,000 kilometers, or 1,242 miles away. The distance would make the missile an INF-covered weapon. An intelligence official told the Washington Free Beacon that U.S. intelligence agencies believe the Yars is an intermediate-range missile disguised by the Russians as an ICBM to avoid being accused of violating the INF treaty. A State Department annual report on arms compliance that was due to Congress on April 15 will address the issue, a department spokeswoman said. Stefan Forss, a former missile specialist with the government of Finland’s Foreign Ministry, said he agrees the Russians appear to be breaking the INF treaty. Forss said the June 6 test of the Yars to less than intercontinental ballistic missile range is a clear sign the system is an intermediate-range missile. "If there are no further tests to intercontinental ranges—we should, however, prepare for some maskirovka [deception] tests in this regard—the matter is settled," Forss, an adjunct professor at Finland’s National Defense University said in an email. "Yars M will take care of the upper end of the INF range spectrum and Iskander-M of the lower end." The Iskander is Russia’s new short-range, nuclear-capable missile. Forss said a recent statement by Russian Foreign Minister Sergei Lavrov that any future strategic arms accords must include other states beyond the United States and Russia was significant. "It effectively buries any hopes of further reductions," he said. For the Europeans, according to Forss, strategic nuclear arms cuts are less important than tactical nuclear cuts since Russia currently has an overwhelming advantage in tactical nuclear weapons. "The reason why Russia now opposes bilateral talks with the USA is plain and clear," Forss said. "Russia doesn't want any lower START ceilings for the reason that it needs them for the new ‘ICBM' that for all practical reasons is a non-strategic IRBM." Forss said Moscow’s strategy likely would be to first build up INF capabilities and then withdraw from the treaty. 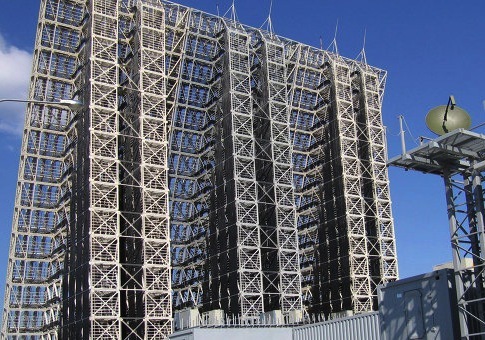 The Armavir radar is one of four advanced missile defense radars being built by Russia in recent years that are being rushed into service by 2020. Each of the radar can track up to 500 objects simultaneously. The radars are protected by Russian S-400 air defense and anti-missile interceptors. Two of the stations, called Voronezh-M, already are deployed near St. Petersburg and in Siberia in the Irkutsk region. The fourth radar is located in the Baltic enclave of Kaliningrad, where Moscow in the past has said it would deploy advanced Iskander short-range nuclear-capable missiles in response to European missile defenses. The Voronezh radars can track objects up to 3,700 miles away and are considered more technically advanced than earlier Soviet-era missile defense radar. According to Novosti, the Armavir station can track missiles from France and Spain in the west as well as areas of North Africa and through Iran, Afghanistan, and parts of India and Pakistan. Voronezh radars also are planned for Pechora in Russia’s Komi Republic and near the Siberian cities of Barnaul and Yeniseisk. Russia announced late last year that the Baltic missile defense radar is being built by 2014 to counter what Russia said is "the perceived threat from a joint U.S.-NATO missile defense system in Europe," Novosti stated. The new missile defense radar are part of a major buildup of Russian defenses against missiles first disclosed by the Free Beacon on May 16. Other elements of the strategic missile defense modernization program include new and modernized anti-missile interceptors, such as the advanced S-500 missile defense system and advanced S-400 and S-300 defenses. 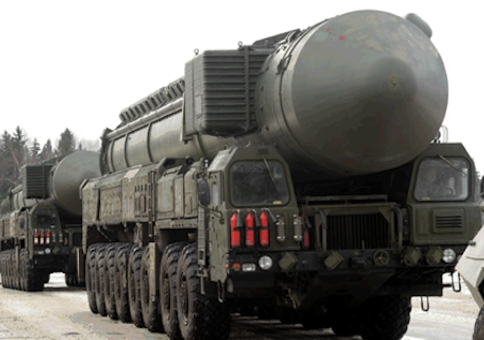 Moscow also is upgrading SH-08 nuclear-tipped anti-missile interceptors around Moscow. Additionally, other new missile defenses being fielded are Russian SA-20 and SA-21 surface-to-air missiles, and a new advanced system called the SA-X-23, an advanced version of the S-300. This entry was posted in National Security and tagged Obama Administration, Russia, Vladimir Putin. Bookmark the permalink.